“CLASH! 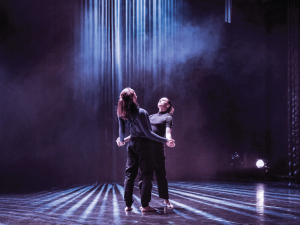 When classic and contemporary dance collides and new forms emerge” came out of a reflection that Balletto di Roma has been pursuing for years about the production and transmission systems of the so-called “classical” and “contemporary” dance. This is a cross-examination of some categories of sense now presumed to be stabilized but still not much outlined in terms of analysis of specific traditions, sharing of choreographic practices and working systems. 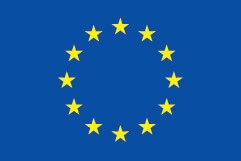 Hence the need to investigate the “state of the art” in Europe, with particular attention not only to the most established realities in the contemporary area (for the most located in Northern Europe), but also and above all the institutions that want to implement their contemporary creations and therefore have the need to work on new codes, production models, relations with the audience. The CLASH! 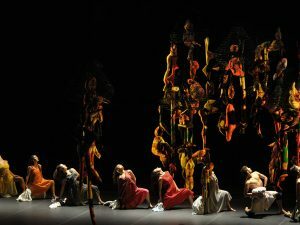 project intends to support the dance companies of South and Eastern Europe, traditionally more active in classical training and production, towards the production of contemporary dance, which nowadays requires new training tools, a new internal management and new strategies for audience development. At the same time, since the project will also produce productions and co-productions, CLASH! also shares the objective of promoting the exchange and circulation of works and artists at European level. In the next years the project partners – Balletto di Roma (IT), 420PEOPLE (CZ), Art Link Foundation representing Derida Dance Centre (BG), Companhia de Dança de Almada (PT), Polski Teatr Tanca (PL) and Sapienza University of Rome (IT) – will work together to investigate issues related to the production and teaching dynamics of classical and contemporary dance, sharing experiences, training methodologies, approaches to internal planning of activities as well as to the relationship with the audience.